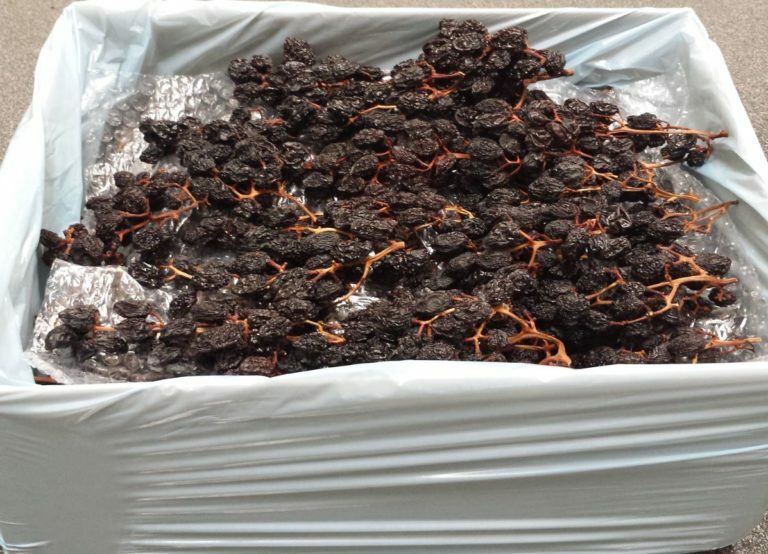 Clusters are packed in 1 mil blue polyethylene liners in layers, separated by sealed air 3/16 in. 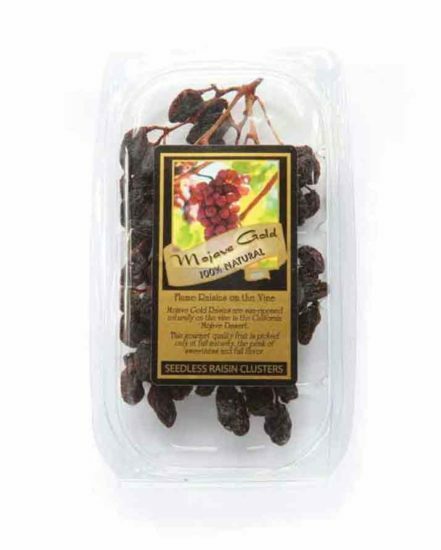 bubble wrap for protection of the clusters and placed in 10# bulk cases. 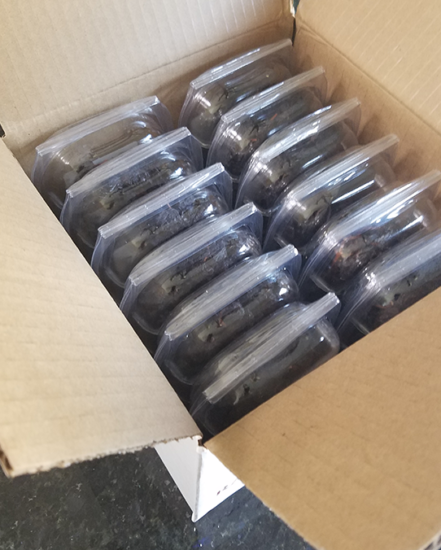 Cases are stacked 100 to a pallet, identified with tags, and shrink wrapped. 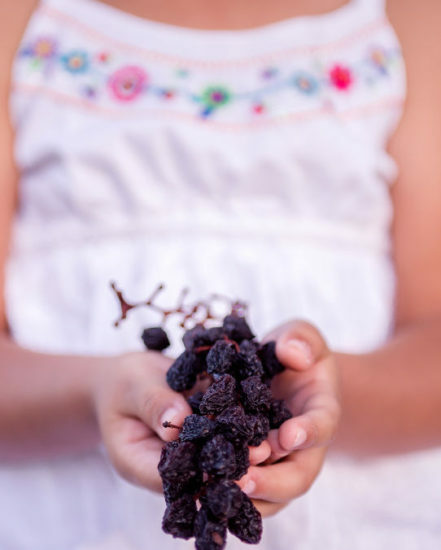 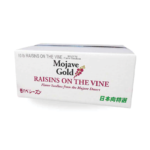 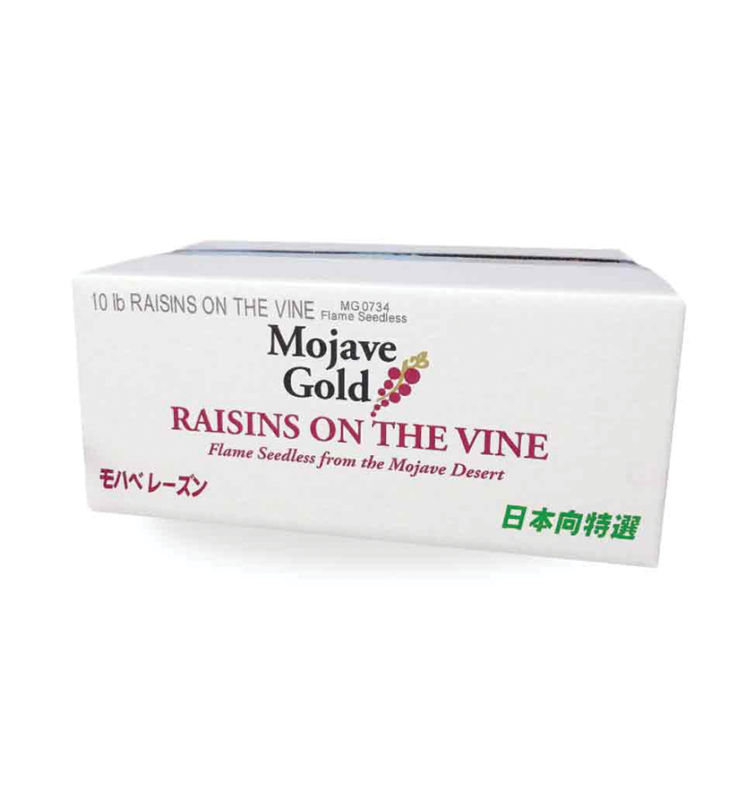 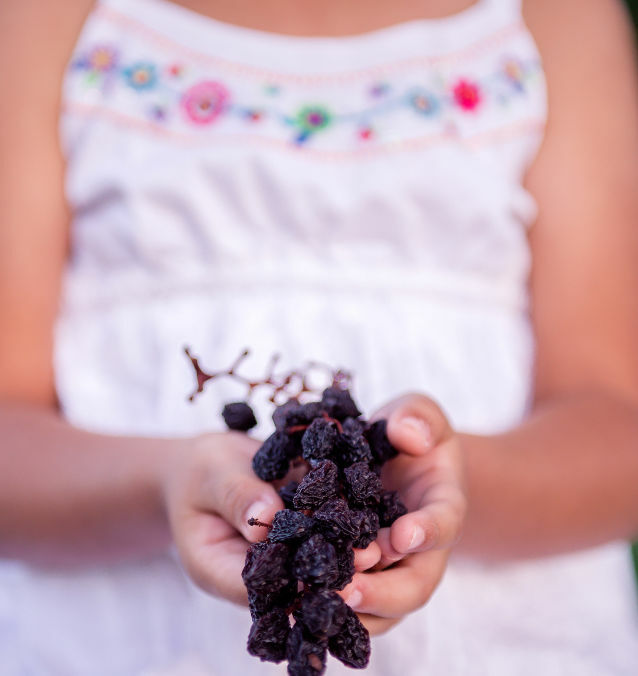 Mojave Gold LLC’s Raisins on the Vine are picked at the peak of maturity, sun-ripened and dried on the vine for richer flavor. 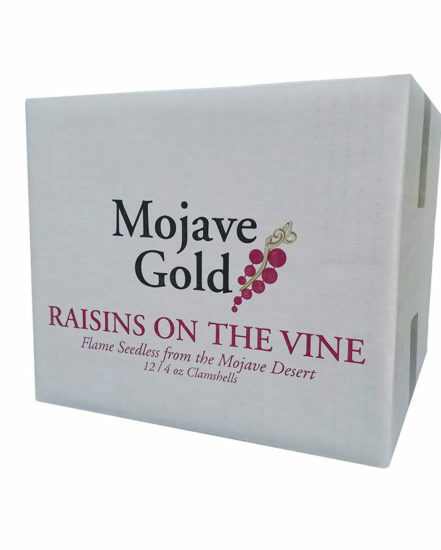 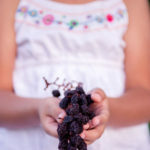 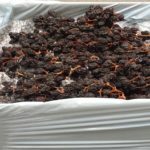 Large in size, dark in color, and rich in flavor, Raisins on the Vine are taking the US market by storm. 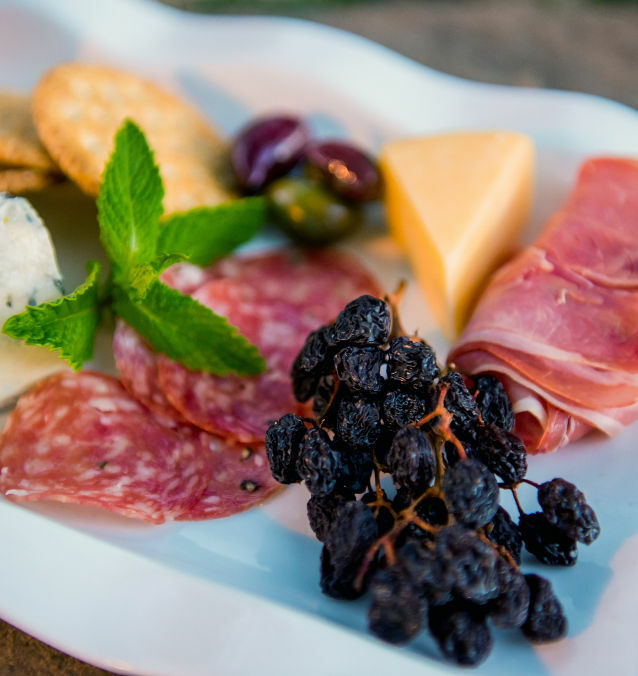 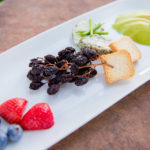 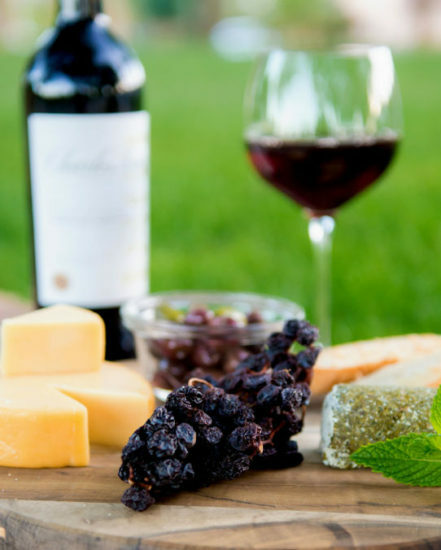 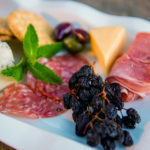 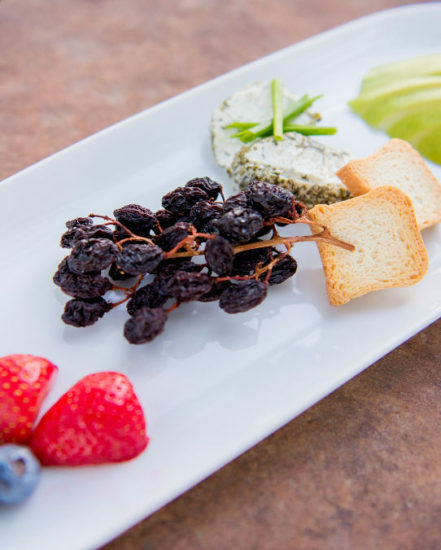 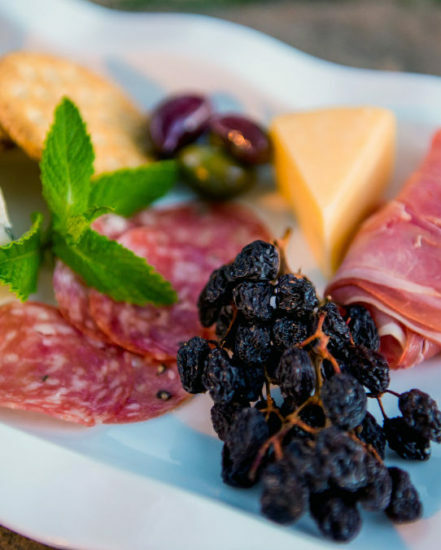 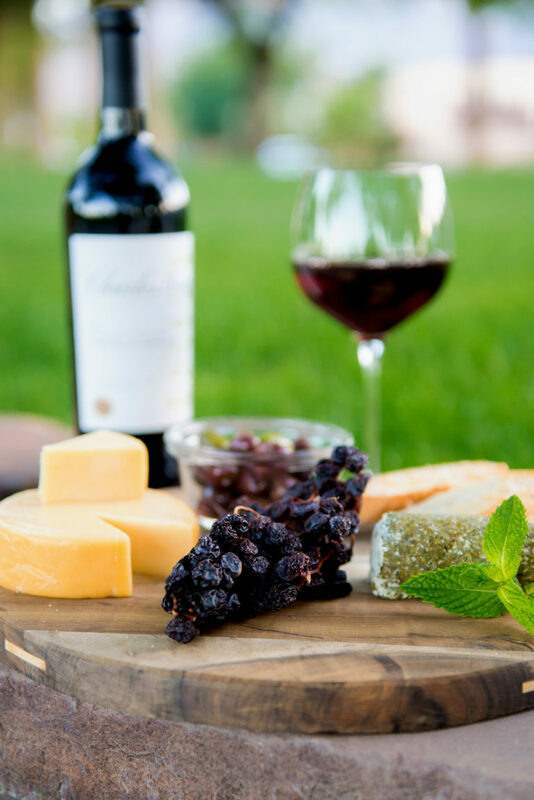 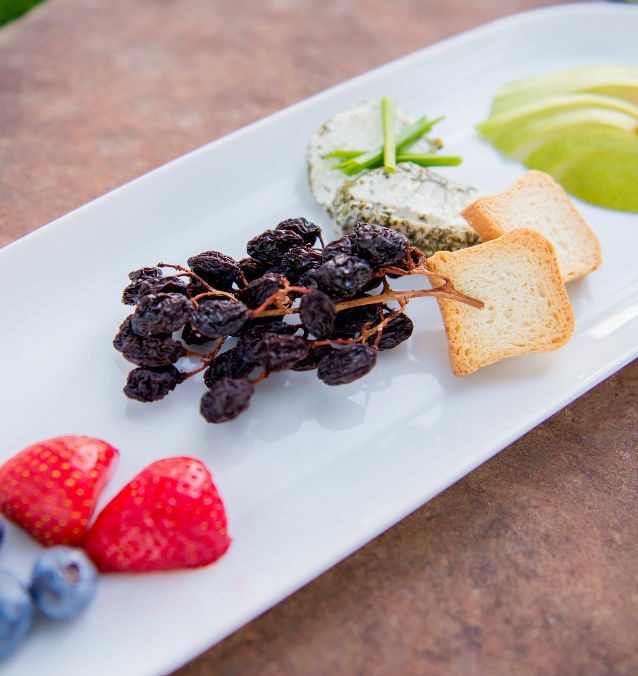 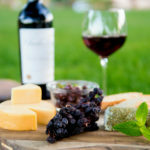 The clusters can add elegance to cheese platters, desserts, fruit plates, paired with an excellent glass of wine or served as high-energy snacks.